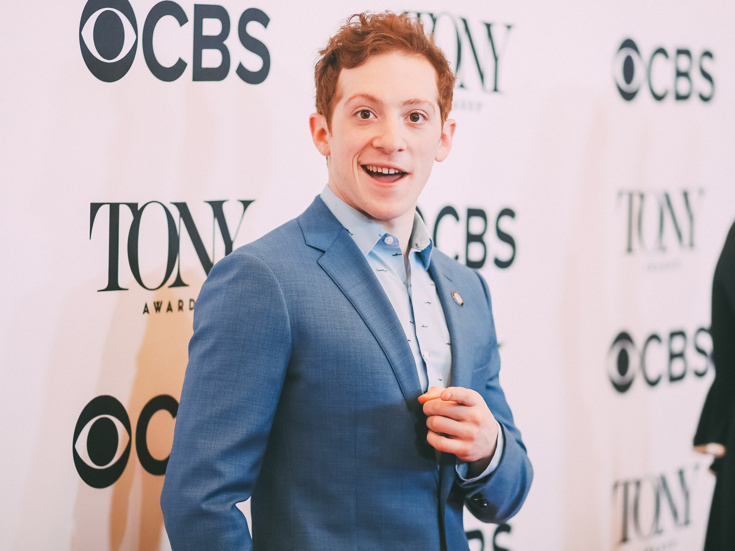 We've been cheering for multi-talented star Ethan Slater since his Tony-nominated turn in SpongeBob SquarePants. Slater, who was recently seen in a cheered reading of Significant Other and will portray Joel Grey in FX's Fosse/Verdon, has just released his first single, Richmond Rewrites, from his in-development musical film Write Me In, about one man's night in Virginia, and the way it changed his outlook on life. Listen below, and keep your eyes peeled for more from this mega-talented star. Fresh off a run as Dr. Pomatter in Waitress, Tony winner Gavin Creel has scheduled an upcoming concert appearance at New York's 92nd Street Y on June 17 at 2:00pm. Creel will pay homage to the American musical songbook, re-creating memorable songs from his distinguished Broadway career that includes Tony-nommed performances in Thoroughly Modern Millie and Hair, an Olivier-winning turn in The Book of Mormon and his Tony-winning turn in Hello, Dolly! Audiences can also expect songs from his celebrated appearances in La Cage Aux Folles and She Loves Me. Performances kicked off last week for the new musical Alice by Heart, making its world premiere at off-Broadway's Newman Mills Theater. MCC Theater has just released a music video of stars Molly Gordon and Colton Ryan delivering the song “Afternoon” from Duncan Sheik and Steven Sater's original score. Give a watch below and make plans soon to see Alice by Heart before its limited engagement concludes on March 31. The American Theatre Wing has announced recipients of the Andrew Lloyd Webber Initiative's programming, including four-year university scholarships, training scholarships and classroom resource grants. "The grant proposals received this year have shown the urgent need for arts funding in primary and secondary schools across America, and for young persons looking to further their arts education. I am proud that we are in the third year of this program and am excited for the years to come," said Andrew Lloyd Webber. Student recipients include Nena Daniels, Daelin Elzie, Anijah Lezama, Corina Matos Aguilera, Alyssa Payne, Avery Woodruff, Austin Anderson, Nicholas Askew, Eugene Bois, Armani Brown, Jaqueline Cabrero, Jazmyne Charles, Ingrid Nicole Corleto, Jamia Croft, Joilynn Green, Rich Adrian Lazatin, Sydney Lopes, Kelly Lukito, Freedom Martin, Amara McNeil, Katelyn Ortiz, Elise Porter, Imani Preyor, Anthony Quintana, Julia Schick, Isabella Torres, Imani Turner, Indigo Turner and Carrington Vaughn. For further information on The Wing's Andrew Lloyd Webber Initiative, click here.